Warning: There are spoilers ahead for Captain Marvel! 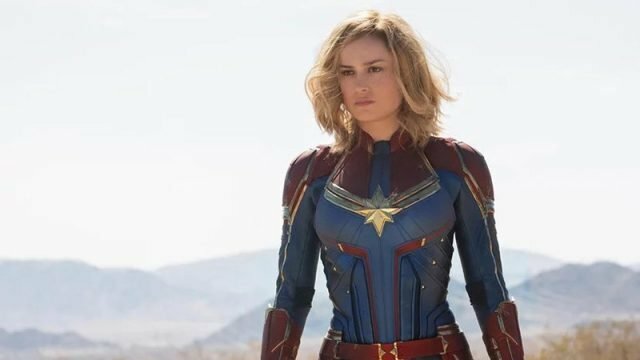 Over the weekend, Captain Marvel crossed $300 million in its third week at the box office. Naturally, a sequel is inevitable even if Marvel Studios isn’t ready to confirm that. However, Marvel’s Kevin Feige is already dropping hints about when potential Captain Marvel sequels might take place. Although Telos and his band of Skrulls ultimately had good intentions in the movie, Feige also indicated that the rest of the Skrulls may not share Telos’ outlook. Within the Marvel Universe comics, the Skrulls have frequently tried to infiltrate Earth and claim it as their new homeworld. The Secret Invasion crossover even featured the Skrulls executing a long term plan by replacing Earth’s heroes with sleeper agents. After Captain Marvel introduced the peaceful Skrulls to the MCU, the probability of a Secret Invasion adaptation seemed less likely. However, if Feige is willing to explore to explore the Skrulls’ more sinister side, then that story remains a possibility. Additionally, there are also Skrull villains, including the Super-Skrull, who could potentially threaten the Fantastic Four and other Marvel heroes. Do you want to see Captain Marvel sequels set between her first film and Avengers: Endgame? Should the sequel also explore the Kree-Skrull war? Let us know in the comment section below!